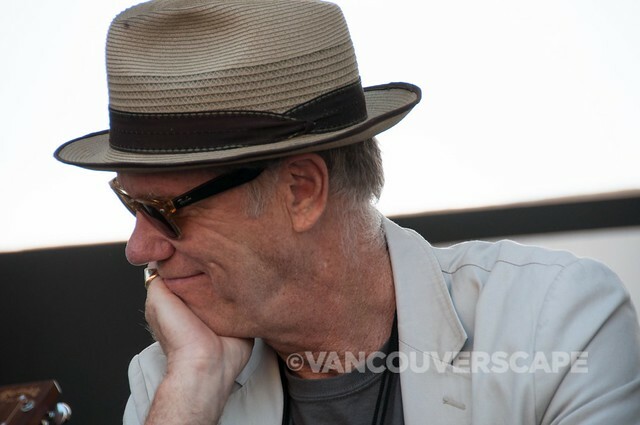 Loudon Wainwright III is a humourous, sh*t-disturbing folk musician that’s part of a hugely-talented musical family. 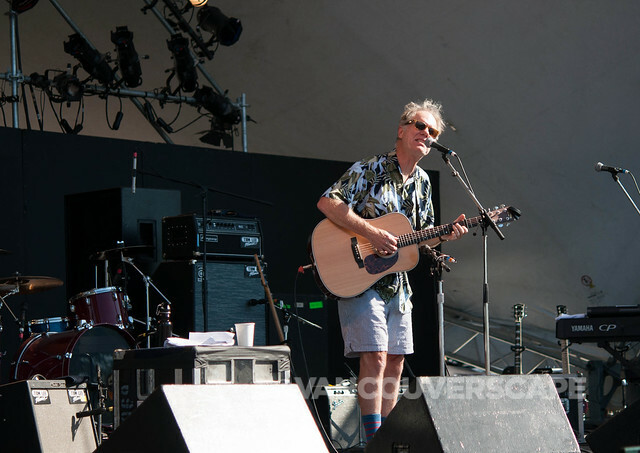 His father, Loudon Wainwright Jr. was a well-known American writer; his kids, Rufus, Martha, and Lucy are all successful musicians in their own right. For the past 40 years, Loudon III has looked politics in the face and written one relevant album after another, filled with engaging, thought-provoking stories. He won a Grammy for Best Traditional Folk Album and shows no signs of slowing down anytime soon, even though many of his numbers deal with death and decay. You just have to go with the flow and relish his honesty and wit. And that’s just what we did on Saturday afternoon between his afternoon workshop and early evening Main Stage performance at this year’s Vancouver Folk Music Festival. He’s a very colourful self-mocking character who originally hails from North Carolina. Q: Do you see songwriting as a sort of therapy? Q: How do you describe your father’s work on stage in relationship to your own? Q: What’s it like writing songs about death and decay without being a complete miserable git all the time? Q: Do you enjoy the experience of performing now as much as you did back in the day? 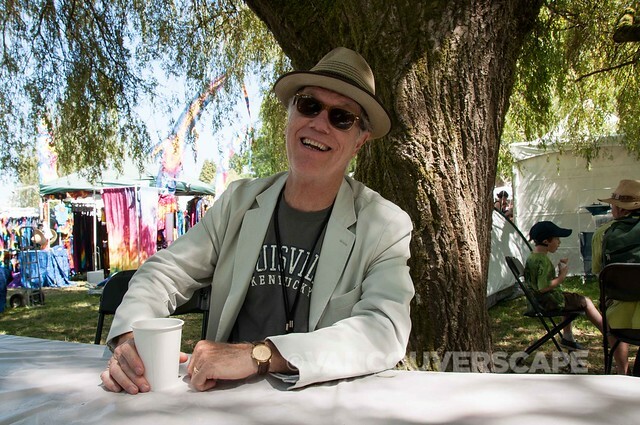 Q: Are you enjoying being here for the first time for the Vancouver Folk Fest? Q: How would you compare the dynamic of Vancouver’s Folk Fest to other folk festivals? Q: Working with your kids? A: “Well, I get ‘em for cheap. I just tell them, look, if it weren’t for me, you wouldn’t be here. I have four children, three of which are professional musicians, Lexi (in college) can also sing. They’re all good singers and on my new album.” He then jokingly referred to the Wainwrights as a dysfunctional Von Trapp family. Q: Do you acquire new fans through Rufus and Martha? Q: How about your acting career? Q: Greatest inspiration living or dead? Q: Are you planning on writing more political protest songs such as the song you did today about the Aurora shooting, “I’ll Be Killing You This Christmas”? 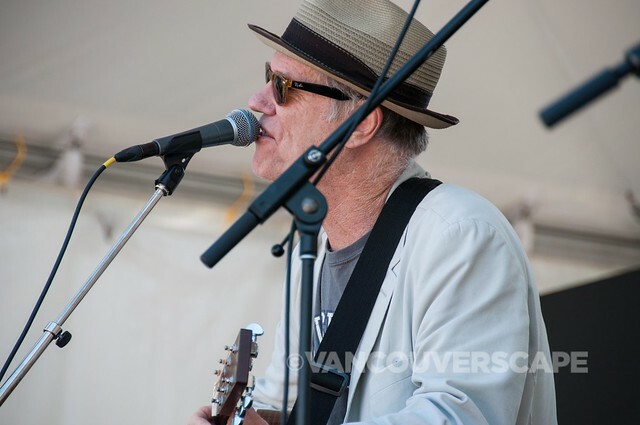 Find our 2013 Vancouver Folk Music Fest recap here.